Frigid cold, but the light in winter always amazes. It’s absolutely frigid here in the northeast. 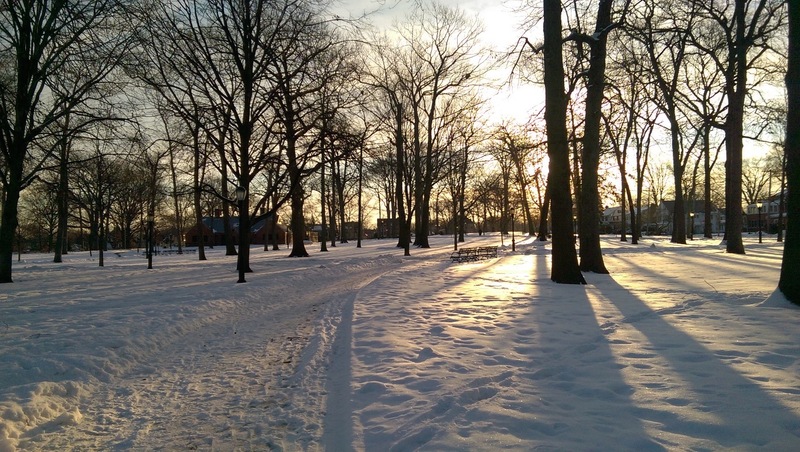 Personally, I love the winter as much as the next guy, but as the long march of winter trudges on through the snowbanks of our neighborhoods, I think we’re all ready for a little more warmth. This week’s Friday Night Lights will catch you up on two new product enhancements from Cree, plus there’ll be some bonus content if you stick around until the end. The LS fixture launched last year and has been a terrific success ever since. The LS is one of those deceptively simple products that make it the swiss army knife of lighting fixtures. 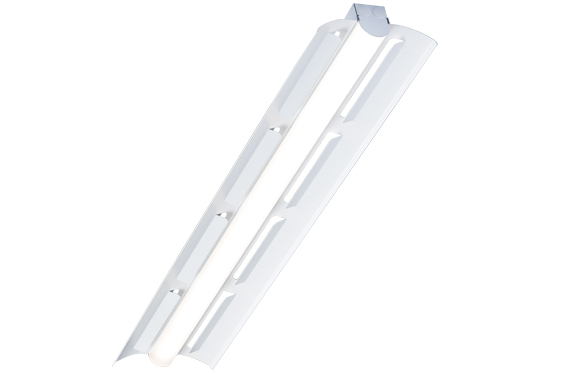 This simple clean line of light can be surface mounted or suspended and comes in 4’ and 8’ lengths which can be connected to form continuous rows. This week, Cree announced a few new enhancements to the LS that make it an even more versatile tool for you to have in your lighting toolbox. The original LS was available in a 4000 Lumen 4’ fixture and an 8000 lumen 8 foot fixture. Now there are more lumen packages available. This wider array of lumen outputs makes the LS an energy-saving alternative to incumbent T8 and T12 strips as well as a cleaner alternative to multiple-lamp fluorescent lowbays and industrial fixtures. 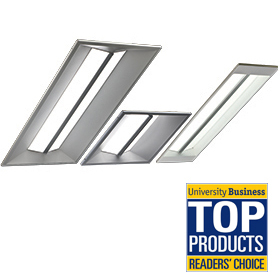 Piggybacking on the idea of a replacing industrial fluorescent fixtures, the LS now offers two optional reflectors. 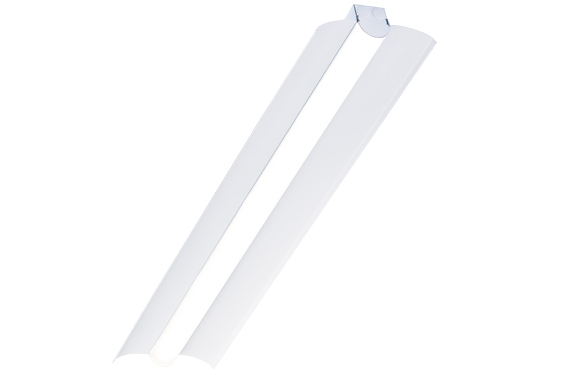 These reflectors both protect the fixture in an industrial setting and steer some of the uplight back down to the target area. This week I wrote a pretty long post on why I think tunable white will be the game-changing feature in lighting in 2015. Also this week (coincidentally?) Cree announced the launch of a field-adjustable white capability for it’s CR Troffer. The CR Troffer from Cree is now available with their tunable white technology through Smartcast controls. The CR Series with SmartCast will now have the capability to vary it’s color temperature in 500K increments from 3000K up to 5000K using the SmartCast remote. The other thing to know is that this feature is now standard on CR troffers with Smartcast. So for no additional cost you no longer have to specify a color temperature on a troffer, simply choose a form factor (1×4, 2×4, 2×2) and once they’re installed you’ll be able to adjust not only their brightness in the field, but also their color temperature all with the touch of one wireless remote. If you’re interested in my talk or any of the other excellent discussions being hosted at LEDucation, please register today. We’d love to see you there. That’s it for this week’s edition of Friday Night Lights. Thoughts? Questions? Comments? Leave a thought in the comment section or find us on Facebook. We’re looking forward to it.